I'm not cruising the surf in my 4runner. I have a vest and wear it occasionally. I have a fanny pack as well, or a small backpack, which I use more. I just load it up with what I will be using that day. The vest hangs in the closet and hold most of fly boxes, that's really its main use. Also, I added a poll for you. Did you see the option towards the bottom of the page (next to "Attachments")? I'd depends on how deep I am wading and where I may be fishing. I wear a vest a waist pack or just carry a few things with neither. I use a small chest pack, take as little as possible with me. Went to a sling pack last year and really like it. Only issue was wading deep one day on the Delaware. That's out of character for me as I typically wade very shallow so I'm pleased with it. Of course they do have waterproof slings, but I find them a bit more bulky and harder to zip in and out of. I went with a smaller sized sling, and I'm liking that decision because I'm no longer carrying around 10 fly boxes I never use. edit: yes, I see it now.... will keep that in mind for the future ! I'm not saying a vest is "bad", I still have mine, but I've just taken to storing related "stuff" in the sling packs and fanny pack so I can grab and go for trout, warmwater, or saltwater, pond, surf or river. I think if I was just focusing on fly fishing for trout, I'd still be using my vest a lot more, just a guess. I wear a vest most of the time. It has my staff and net right were I need them plus everything I need and more (too much more). But I like it. I do have a chest pack that I wear instead for my small stream, bushwacking adventures. I'll wear a vest under my sport coat on special occasions only. I prefer a nice patterned front and a silk or satin black back...Then on to some avocado toast and a good beard trimming..
Fishpond pack..vests are for old men and women.. I use a large chest pack (William Joseph) which replaced vests for me a few years ago. I can't imagine going back. I carry more crap than the law allows, so I have the large one with storage front and back. The magnetic openings allow fast in and out with one finger. I regularly carry 6 fly boxes, my regular glasses or sunglasses, a first aid kit, and everything you would need to guide a couple of clients all day which is far more than most any single angler would need in a week. For the salt, I use a much smaller, front side only chest pack. 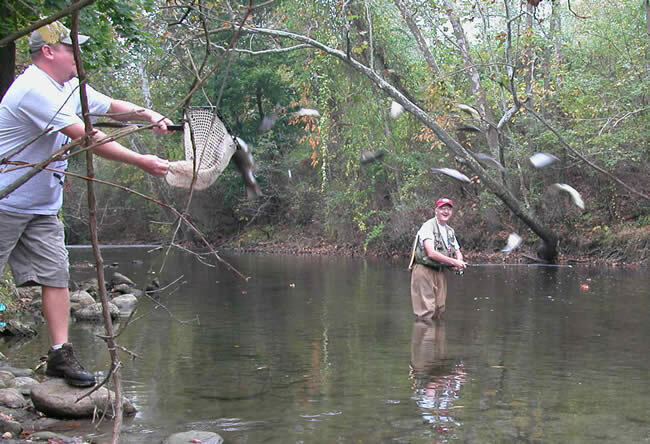 Salty fly fishing is far less complex than is trout fishing. I finally retired my 20 year old LL Bean vest. That thing was awesome and carried everything plus 10 beers. I tried different packs but the always felt cumbersome, so I always went back to the musty, moldy, beer vest. This year I got a reddington and love it. I quit drinking so I don't have to worry about carrying beer anymore. If you can call me son, you old!! !